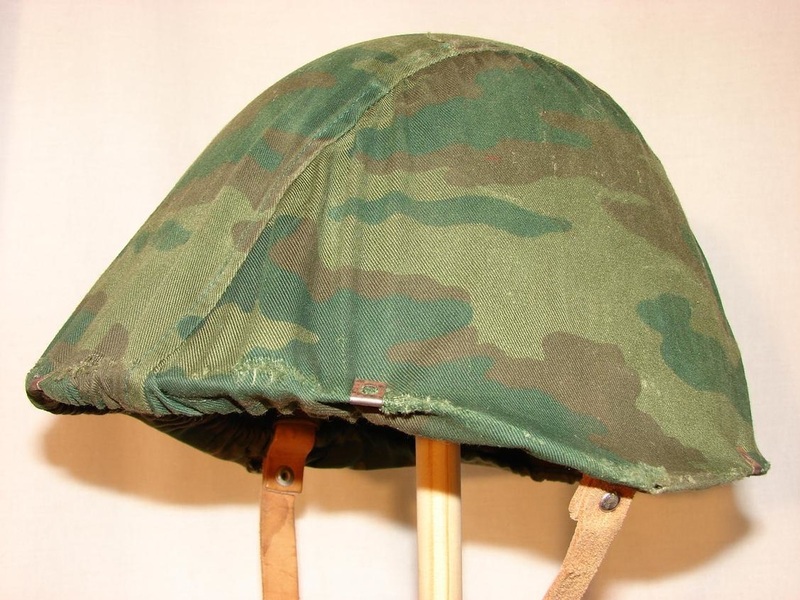 The last of the Soviet made steel helmets was the Ssh68, commonly referred to as the "Cone Head" due to its raised dome. 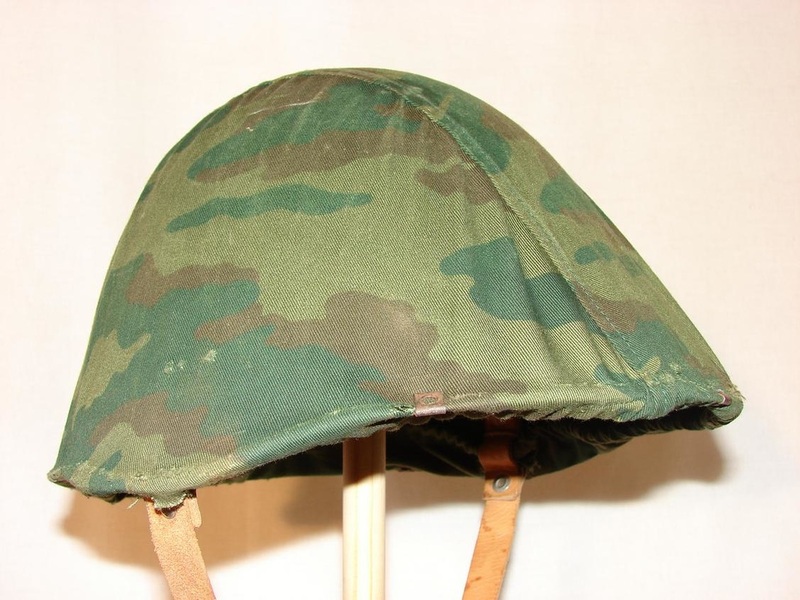 These helmets are still in use today though gradually being phased out. 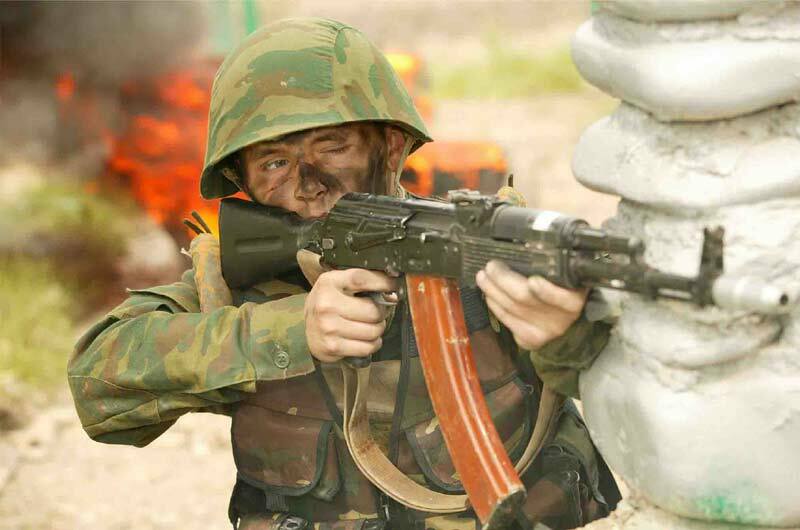 This particular helmet is a veteran of the Chechen Campaign, the cover has been individually made by the soldier who wore it, pictured below are Soldiers of the Naval Infantry with similar camo covers.